Chilean broadcaster TVN and producer-distributor Fremantle have joined up with Oscar-winning local prodco Fabula on a Spanish-language psychological thriller. Eight-part series La Jauría (The Pack), which is being coproduced by Fremantle and Fabula, has screenwriter and film director Lucia Puenzo (Ingobernable) attached as showrunner. 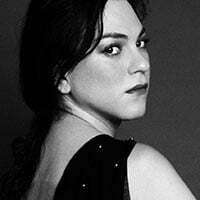 Production is due to begin in Chile in January, Daniela Vega (A Fantastic Woman) starring alongside Antonia Zegers (The Club). The show follows a 17-year-old student who leads a protest at a private school against a teacher suspected of sexual assault. A video then emerges of the student being raped by a gang of unidentifiable men and a specialist police unit is then tasked with finding the student before it’s too late. “It has the freshness of the feminist revolution that has inspired millions of citizens to march in the streets of the capitals of Latin America, from Santiago to Buenos Aires, from Bogotá to Mexico City, and portrays the impact of gender violence in our societies,” Poblete added. Christian Vesper, exec VP and creative director of global drama at Fremantle, said: “We are immensely proud to be working with the highly talented Fabula team on our first Latin American drama. Fremantle and Fabula are coproducing in association with Argentinian producer Kapow and in partnership with TVN. The project is supported by government founded CNTV. 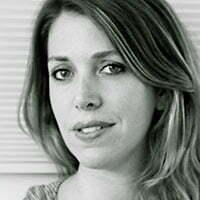 Executive producers will be Christian Vesper for Fremantle, Ángela Poblete, Juan de Dios Larraín, Pablo Larraín, Juan Ignacio Correa and Matías Amocain for Fabula, and Rony Goldschmied for TVN. Fremantle’s slate also includes The Luminaries, which is being produced with UK prodco Working Title, and Fertile Crescent, which is from Haut et Court and Spiro Films.